It’s time to start life science marketing planning for the next year, and we’d like to help you get the most out of your budget with this guide. We’ll assume that the Mayans are wrong and that the world won’t end, at least not before Q4. We’ve updated our life science event planning calendar which has 2012 conference and relevant due dates to help you get abstracts and other items in on time, especially if you add the google calendar to yours so you’ll get reminders. In addition, we’ve added the official Twitter hashtag for each event (where available) so you can track them (see our guide to life science hashtags to learn more). Below is our list of life science media kits and editorial calendars. Marketers use them to plan their tactical schedules, see our life science marketing plan series for more details. We’d hoped to find more of the 2012 versions of these schedules, but several are from 2011. We’ll try to update them as they become available, try poking around the websites and contacting the publications yourself to find them. Our 2011 survey of life science marketers indicated an increase in spending on social media, we’ll repeat the survey for 2012 soon. 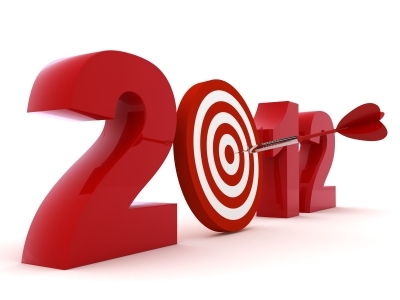 What are your thoughts on the trends for spending and success in 2012? The box in the right column shows some you haven’t listed on the Comprendia Life Science Events list. For example, SOT (toxicology) in March or Biotech 2012 in May.